The template is designed to specify the purchase price of the assets as well as the warranties and representations of the seller and the buyer. The templates are available in DOC format which makes it easily usable in MS word and similar software. 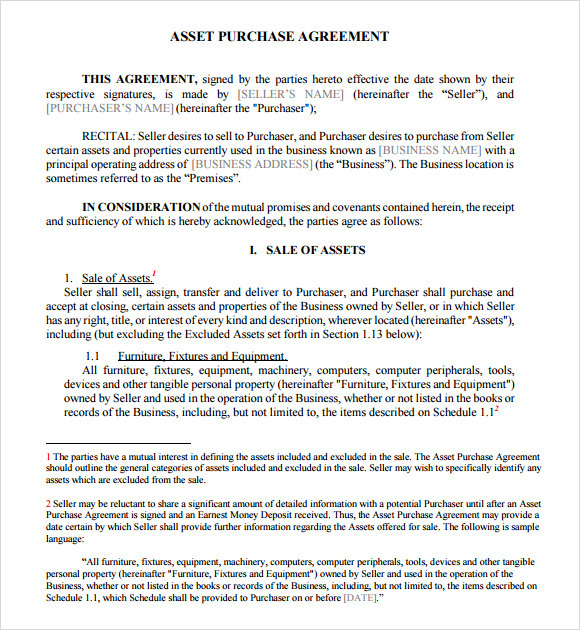 You can download the premium asset purchase agreement, free of cost. 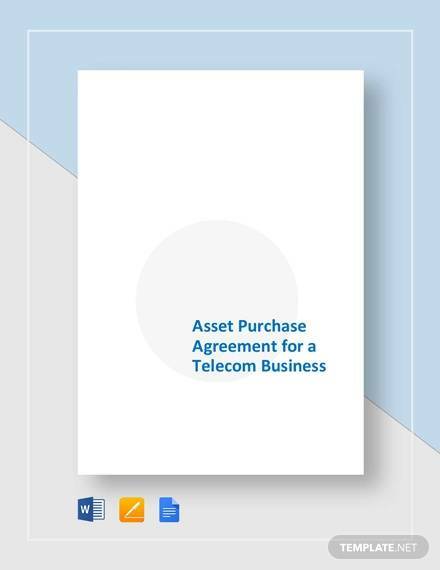 This asset purchase agreement comes in a very formal layout, perfect for creating a good asset agreement. 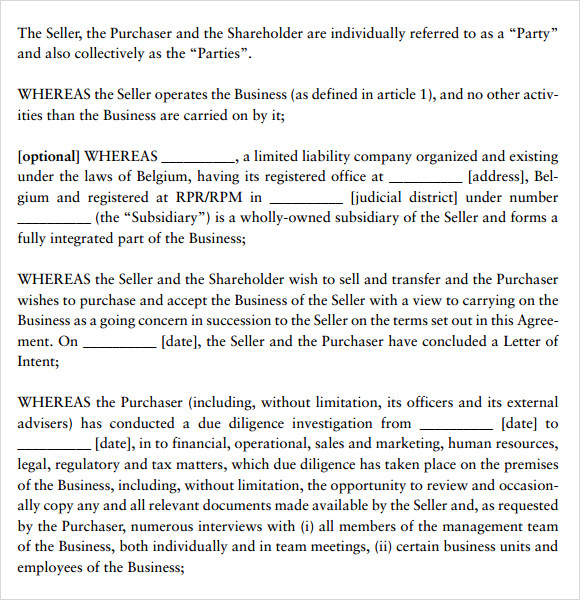 It shows the exact fields and information to be included within the agreement and the tone in which it should be written. It is simple and easily understandable. 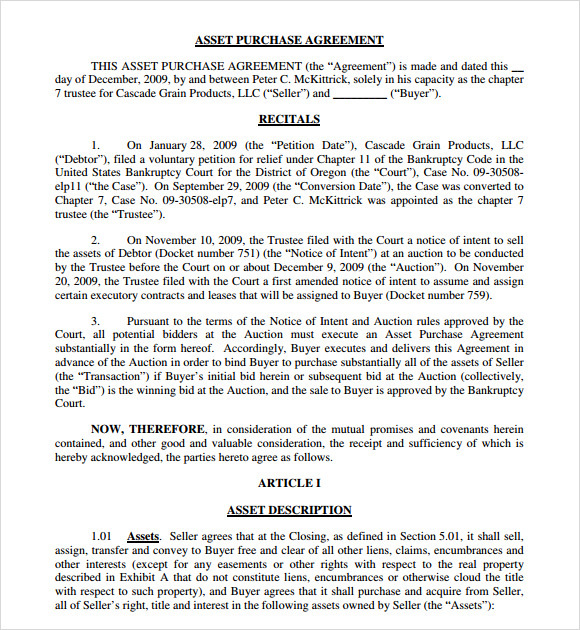 This template is that of a purchase and sale agreement of assets. It expects you to put the names of parties then the recitals and summary, then the section of purchase and sale; price and terms; closing, contingencies and due diligence, responsibilities of parties, etc. 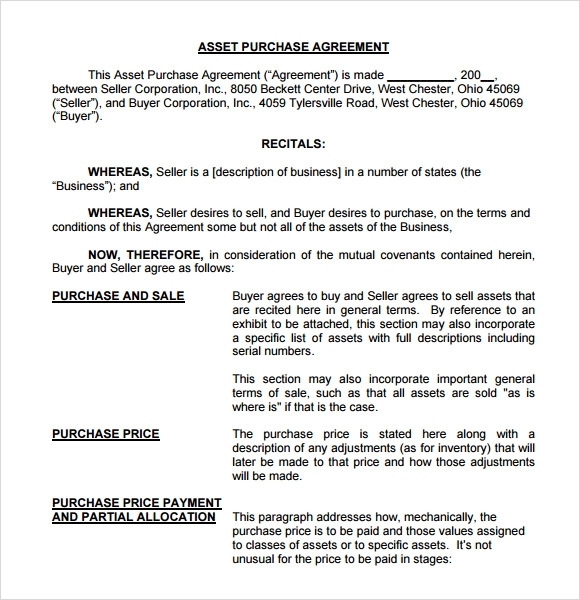 This asset purchase agreement sample shows a professional and clean layout. All the information is well organized into different sections to make it very formal. 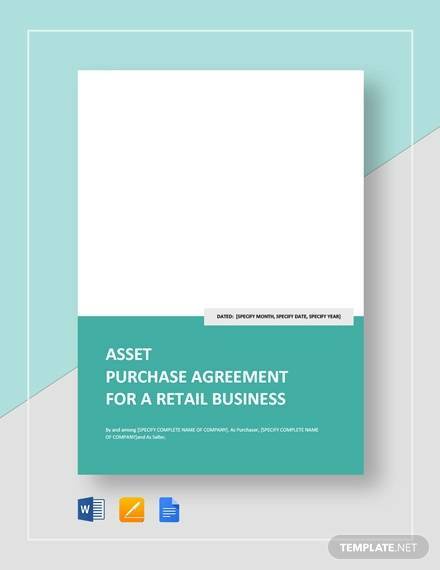 Download this template, check the features and create a perfect asset purchase agreement paper for your property sale and purchase. 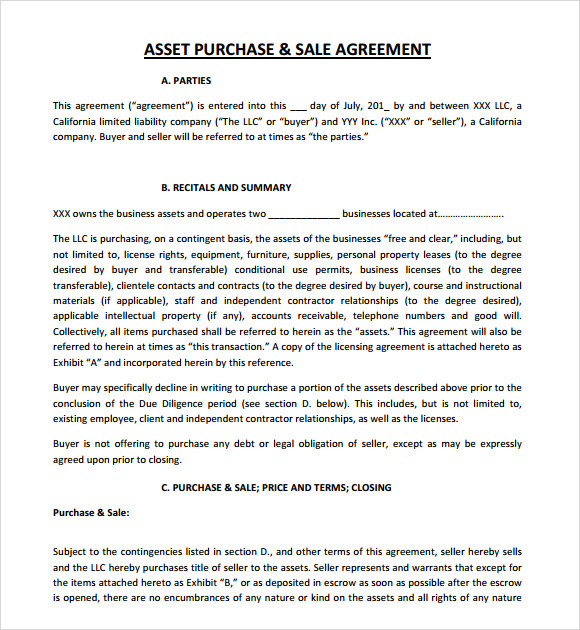 Here is a 2 asset purchase agreement explains in detail what information must be included in the agreement. It comes with various blanks in between sentences that you can fill and create your agreement paper. Download this sample, analyze it and then make your agreement. 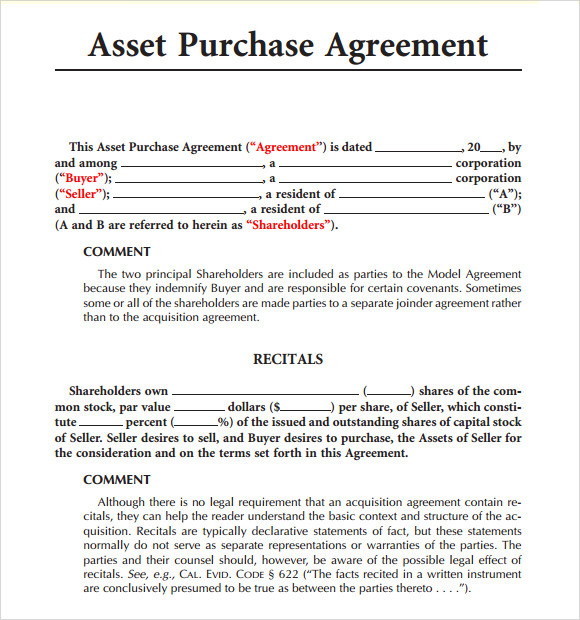 Why do You Need Asset Purchase Agreement Templates? If you write it all by yourself, sometimes there are chances that you might miss certain points or add too much information or make very silly errors. 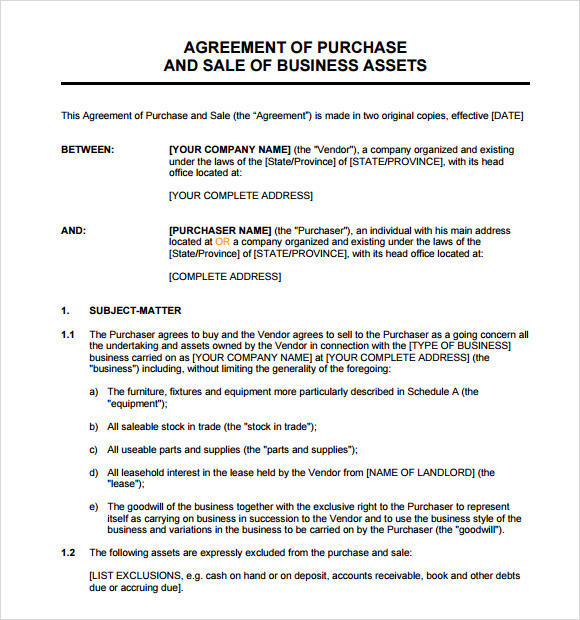 That is why you must download and refer to the asset purchase agreement templates before writing down the agreement. They will help you go smooth with your content and the method of putting it on paper. When do You Need Asset Purchase Agreement Templates? You will definitely feel confident about your work with these templates by your side. 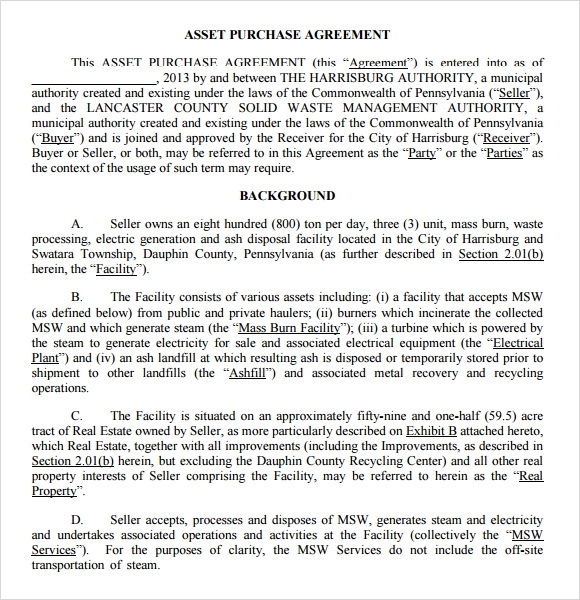 This is when you will feel the maximum need to have Asset Purchase Agreement Templates. Make sure you download the template that goes well with your subject and draft the whole content before writing the final one. This will help you create a perfect agreement. 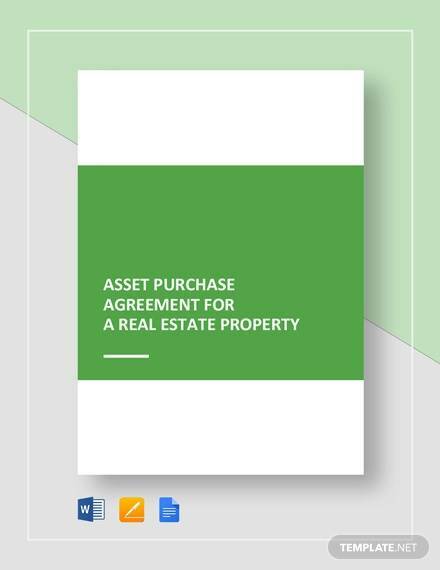 In order to create Asset Purchase Agreement Templates, you must have complete knowledge about the policies and regulations related to asset purchase and sale. Make a note of all the important points to be added to the agreement. Once you have a copy of all the content to be included in the template, you can start writing the final one. This will ensure that the final paper will be free of errors and contain only relevant information. You should also make sure that the agreement is easily readable and understandable to common people. 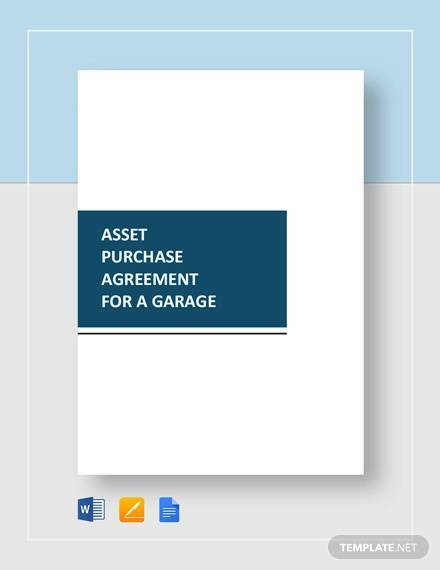 We have designed all these asset purchase agreement templates to reduce your burden of creating an agreement from scratch. They are all fantastic and of high quality. They all are designed for you so that you can create an agreement for your property buying or selling purpose in a very professional manner.